The information we get from customers allows us to process your orders, and helps us improve our products and our online store. Here are the types of information we gather. Information You Give Us: We do not use your information for any purpose other than to assist you directly. We do not share your information with any other entity. We receive and store information you enter on our Web site or give us in any other way. We use your information to process your orders, respond to your requests, improve our products and Web sites, and communicate with you. E-mail Communications: We use your email address only to contact you regarding your orders, or to reply to customer service requests, or other communications you initiate. If you signed up for our free Guide, we will send you helpful informational messages, but you can easily unsubscribe from that service. We do not give your email address to any other entity, nor do we send emails that have not been requested by you. We use Google Analytics tracking cookies on our site. This does not provide us with any personal information about out you. Our shopping cart uses session cookies only to keep your cart current as you continue shopping or move from one page to the next in checkout. Does Nolo Press Occidental Share the Information It Receives? No, never! Information about our customers is completely confidential, and we do not give or sell it to others. We share customer information only as described below. Protection of Nolo Press Occidental and Others: We release account and other personal information when we believe release is appropriate to comply with the law; or protect the rights, property, or safety of Nolo Press Occidental, our users, or others. This includes exchanging information with other companies and organizations for fraud protection and credit risk reduction. Obviously, however, this does not include selling, renting, sharing, or otherwise disclosing personally identifiable information from customers for commercial purposes in violation of the commitments set forth in this Privacy Notice. How Does Nolo Press Occidental Use the Information It Receives? We use the information you give for such purposes as processing orders, responding to your requests, improving our products and Web sites, and communicating with you. We will NOT use your information for future marketing to you unless you have signed up for the free Divorce Checklist, or requested notification of updates. Although our secure server transmits your entire credit card number to the appropriate credit card company during order processing, when you place an order online we only have access to a portion of your card number. 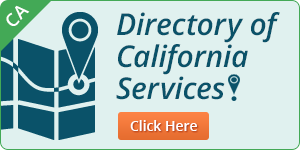 If you choose to visit our Web sites, your visit and any dispute over privacy is subject to this Notice, including limitations on damages, arbitration of disputes, and application of the laws of the state of California. If you have any concern about privacy at our Web sites, please contact us with a thorough description, and we will try to resolve it.